In short, singers should consider vaping as a means of quitting smoking. However, various studies have shown that vaping has negative consequences on both the vocal cords and lungs. As a result, long-term vaping is not advised for singers. If you’re currently a smoker, vaping can certainly be an effective method of quitting. However, it should be seen as a transition to complete cessation and not a risk-free alternative. Is Vaping A Better Option Than Smoking? Vaping is less harmful than smoking: Many studies have shown that vaping can be up to 95% less harmful than smoking. 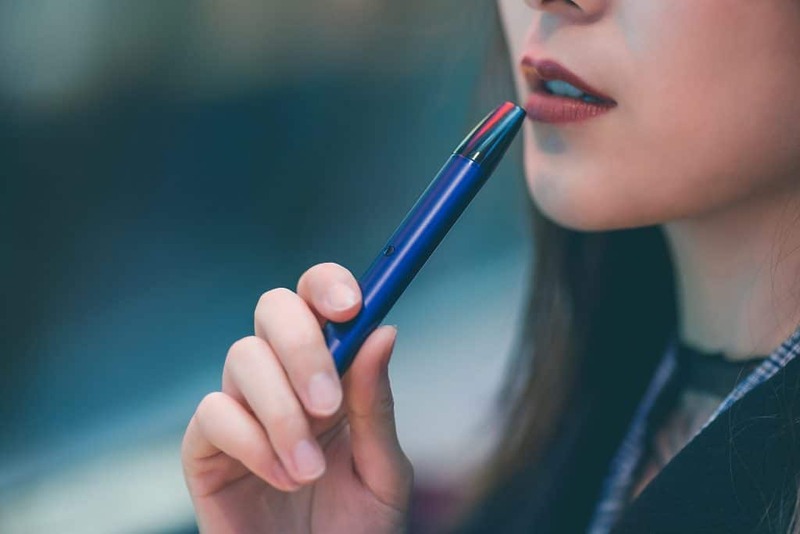 Reduced risk of long-term vocal/lung damage: Whilst vaping is certainly not without risk to the voice and lungs, studies have shown there are significantly fewer long-term risks (such as throat cancer). Easier to quit: With vaping, many people find it much easier to quit completely by slowly reducing the amount of nicotine in their e-liquid. This is more difficult with traditional cigarettes. Nicotine: Many vapers experience what’s known as ‘throat hit’ when using e-liquid containing nicotine. This is the ‘kicking’ feeling in the back of the throat that you also get from smoking cigarettes. However, this is actually a form of mild irritation. Throat hit itself can cause many vapers to cough, which will only irritate the vocal cords further. Additionally, nicotine withdrawal can commonly cause sore throat and vocal irritation. As a result, vapers with a dependence on nicotine are at higher risk of vocal irritation. ‘Smoker’s Flu’: When transitioning from smoking to vaping, some people develop what’s known as ‘smoker’s flu’. This is a combination of flu-like symptoms (such as sore throat and headache) that are a result of tobacco withdrawal. Smoker’s flu can have significant short-term effects on both the vocal cords and lungs. 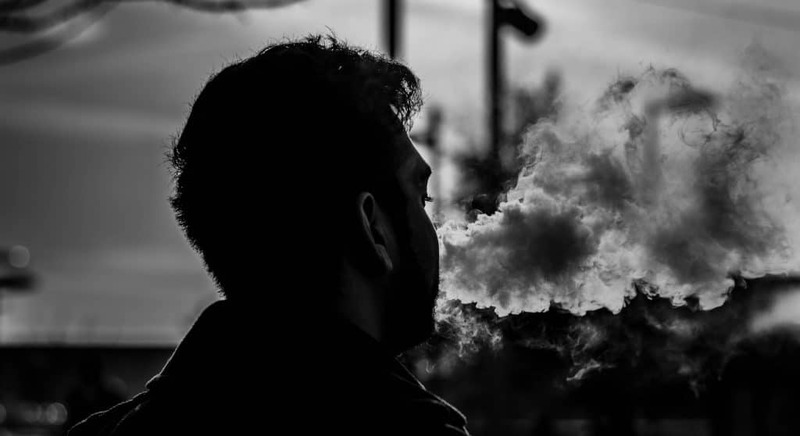 Vaping Technique: Rapid, partial inhales can quickly cause a sore throat. Propylene Glycol (PG): Propylene glycol is a colorless, odourless liquid that’s used as a base for many e-liquids. Whilst generally considered safe for consumption, it can dry out and irritate the vocal cords. Sore throat is also a common side effect of vaping propylene glycol-based e-liquid. Furthermore, some people have an allergy or intolerance to propylene glycol, which can lead to further irritation. Diacetyl: Diacetyl is a type of organic compound that’s widely used as flavoring. It’s used in some types of e-liquids in order to provide a ‘buttery’ flavor or enhance sweetness. However, it’s also known to cause sore throat & general irritation. Heat:Vaping temperatures generally range from 350F-500F. Many vapers choose to vape at high temperatures in order to enhance both flavor and throat hit. However, this can cause short-term damage to the vocal cords. ‘Dry Hits’: ‘Dry hits’ are essentially caused by vaping burning cotton instead of e-liquid. This is generally due to a lack of e-liquid in the tank or issues with the wick. These are not only extremely unpleasant, but can also cause significant vocal cord irritation. Vaping frequency: Vaping on an overly-frequent basis can intensify and prolong vocal cord irritation. Avoid high levels of nicotine: If you’ve just transitioned from smoking to vaping, well done! However, try slowly tapering off nicotine in order to mitigate vocal cord irritation. Use proper technique: Slowly draw vapor into the mouth before slowly inhaling into the lungs. Stay hydrated: Propylene glycol and nicotine can dry out your vocal cords, leading to irritation. As a result, it’s important to stay hydrated whilst vaping. Use a 50/50 PG/VG mix: E-liquid containing high quantities of propylene glycol can cause vocal cord irritation. However, e-liquid containing high quantities of vegetable glycerin also cause side effects (which we’ll discuss in just a little while). As a result, I’d recommend going for a 50/50 mix. Avoid e-liquids containing diacetyl: Diacetyl can be extremely dangerous when inhaled into the lungs. In addition, it can cause vocal cord irritation. Avoid vaping at high temperatures: Whilst high temperatures might result in better flavor and vapor production, it will also damage your singing voice short-term. Keep your vape well-maintained: Keeping your equipment well-maintained will prevent ‘dry hits’. Make sure you change your tank and coils on a regular basis. In addition, avoid vaping when there are low levels of e-liquid in the tank. As a result, singers who vape are putting themselves at risk of more frequent illness. Illness can significantly hinder your voice short-term. The biggest risk that illness presents to the voice is laryngitis, which commonly develops after a cold or the flu. Laryngitis refers to the swelling of the vocal cords due to irritation. Whilst it’ll generally go away by itself within a week or two, it’s unlikely you’ll be able to use your voice at all whilst suffering from the condition. Rest your voice: This is certainly not the time to sing or talk unnecessarily. Doing so will only prolong the effects of the illness on your voice. Stay hydrated: Good hydration should already be a top priority for singers. However, it’s especially important whilst you’re sick. Staying hydrated helps protect the voice against irritation. In addition, it helps prevent dehydration, which is a common symptom of illness. In addition, you might consider using a humidifier such as this one on Amazon. Drink throat coat tea: Throat coat tea lubricates the throat, which can help protect your vocal cords from further irritation. It can be found at most health stores. Get plenty of sleep: When you’re sick, the body desperately requires extra sleep in order to fight off infection. As a result, make sure you’re getting 8-10 hours of sleep a night to ensure a speedy recovery. Take anti-inflammatory medication: Anti-inflammatory medication (such as ibuprofen) can relieve both pain and swelling in the vocal cords. Avoid vaping: As we’ve seen, vaping can irritate the vocal cords, which amplifies your risk of developing laryngitis whilst sick. If possible, try to avoid vaping altogether whist recovering from an illness. Vegetable glycerin (VG), alongside propylene glycol, is used as a base for many e-liquids. It’s derived from vegetable oils, such as palm and coconut. Most e-liquid manufacturers utilize a mix of both vegetable glycerin and propylene glycol in their e-liquid. However, for some users, e-liquids that contain a high quantity of vegetable glycerin can cause a feeling of heaviness in the chest. This can result in significant breathing difficulties and discomfort whilst singing. As a result, it’s strongly advised for singers to steer clear of e-liquids that contain high quantities of vegetable glycerin. Much like vaping, drinking alcohol can severely dehydrate and irritate the vocal cords, leading to inflammation. As both alcohol and nicotine increase dopamine levels in the brain, you’re likely to vape more when drinking alcohol. Therefore, excessive alcohol consumption is also not recommended for singers. What’s The Best Vaping Setup For Singers? E-liquid: Ideally, you’ll want to go for an e-liquid with a 50/50 PG/VG mix. In addition, you’ll want to actively avoid e-liquids that contain diacetyl or other organic compounds. Furthermore, I’d advocate sticking to 6MG of nicotine or less. Tank: In order to prevent dry hits, I’d recommend investing in bottom-feeding, wickless tanks such as these ones on Amazon. Battery: I’d thoroughly recommend investing in a variable voltage battery such as this one. This will allow you to control the temperature, which can help mitigate damage to your singing voice. Can alcohol damage your singing voice? : Alcohol can damage the singing voice by drying out mucous membranes in the throat. This can cause inflammation of the vocal cords, making it difficult for a singer to perform. Does sleep affect the singing voice? : Whilst too much sleep will not affect the voice, too little sleep can limit the function of your vocal muscles. As a result, you’ll be much more-likely to strain your voice whilst singing.